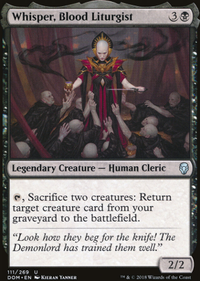 *Target opponent sacrifices a creature. *Target opponent loses 5 life. Goldfished the deck a little. 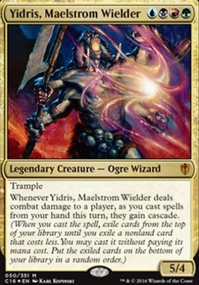 Honestly i think you can get away with 36 lands maybe even 35. you have plenty of ramp and duals that make this possible. 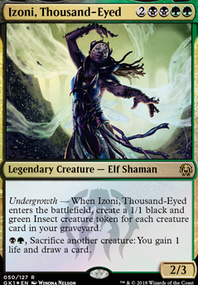 Now you have some room for creatures like Spore Frog . 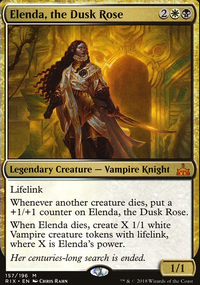 Its needed in decks like these for when you have to spend a turn or two to set up your board state. It will keep players from wasting their attack phase on you. also its a sac outlet and easily recurrable. 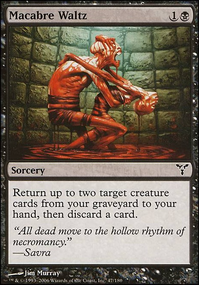 Also cards like Viscera Seer and Death Cultist are good for this too. final suggestion, Vindictive Lich and Torment of Hailfire . 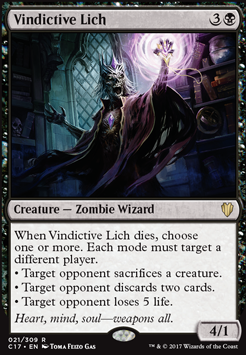 hkhssweiss Vindictive Lich is not quite thematic or synergistic enough. Oversold Cemetery , however, has some potential. Last_Laugh on Combo or control? Why not both! 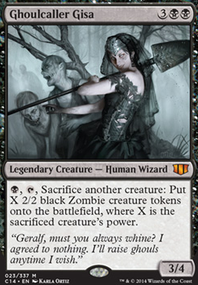 Sage of Fables , Glen Elendra Archmage , Vindictive Lich , Viscera Seer , Venser, Shaper Savant , Corpse Augur , Sower of Temptation , and Grim Haruspex are all great wizards in Marchesa. Metallic Mimic deserves a spot too.